Possibly one of the last photos taken of Smithy. The photo was taken at Lympne, England on 6 November 1935 just before Smithy and Tommy Pethybridge departed for Athens in the Lady Southern Cross. "Was this a farewell to life? Lympne, England... 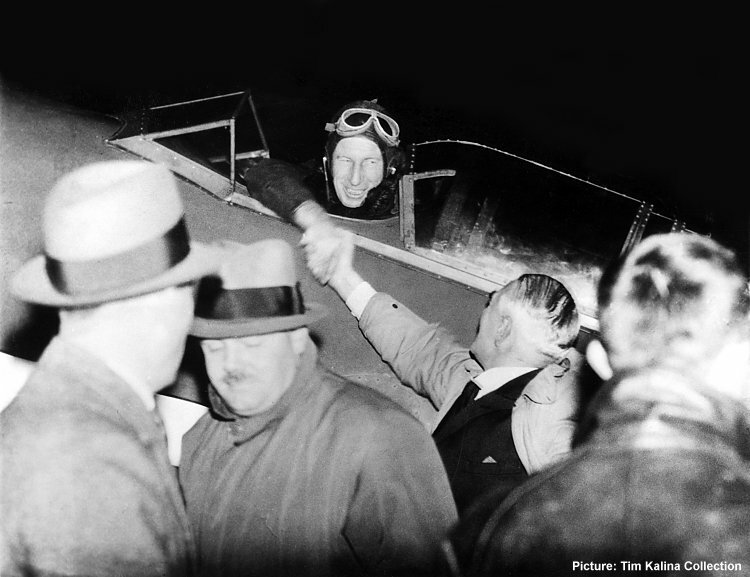 In the best of spirits Sir Charles Kingsford Smith leaned from the cockpit to shake hands with some good friends before soaring aloft from Lympne aerodrome at dawn. He was on the first stage of his flight to Australia...a flight that has not yet been completed. He is believed to have crashed in the Bay of Bengal during the hazardous journey. Sir Charles has completed many difficult trips including a Europe-to-U.S. hop several years ago. He was one of the most popular airmen in Australia. (E-11-12-35)"